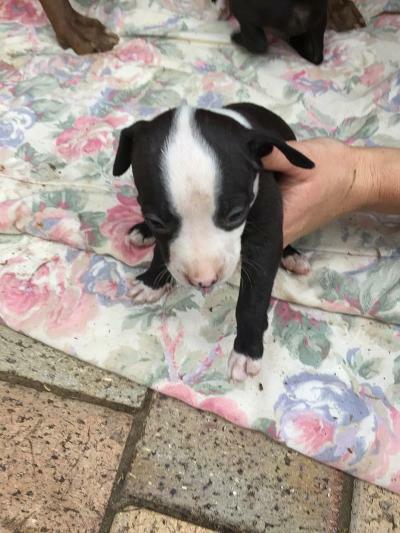 3 Black and white female pitbull puppies for sale. Born on the 24 of November 2018. Ready for good forever homes.